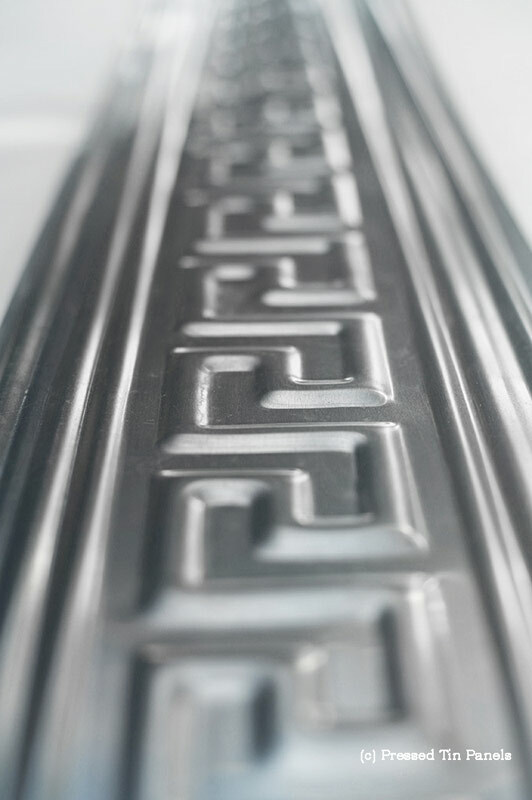 The Greek Scroll features a geometric line pattern that reminded us of an ancient Greek writing style and is available in the standard border length of 1840mm. 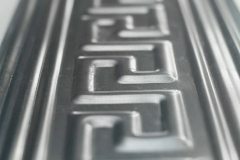 The Greek Scroll is suitable for a range of ceiling & wall installations and can be matched with any Pressed Tin Panels® design and can be painted or powder coated in a myriad of colours. 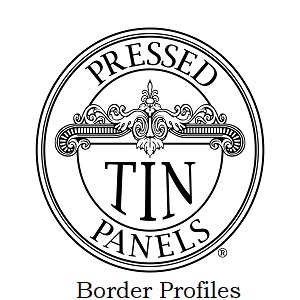 For comparison of the border profiles of the design, against the other borders, please click here for the Border Profile- Actual Sizes. 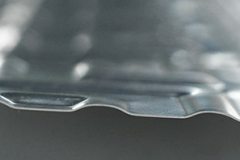 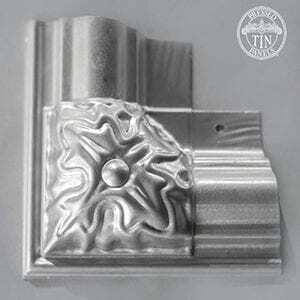 The borders are made from a mill grade aluminium that is approximately 0.55mm thick. 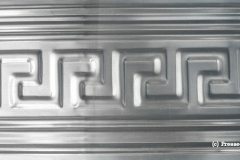 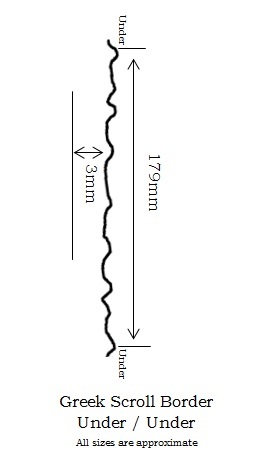 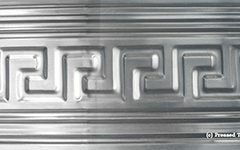 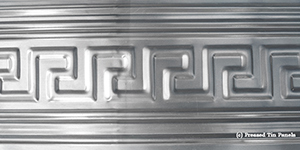 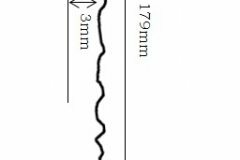 This product can be used for various purposes such as a border, frieze and infill design.